In the preceding installations of this series we've covered font resources, organizing our fonts, pairing of fonts and other design details. Here is where it begins to get a little technical. There are minute adjustments that you can make to your text that will make it look more professional. To do this you need to have a graphics or page layout program, which is capable of making these changes. Leading is the space between lines of text. It is measured from baseline to baseline on successive lines. When in paragraph form adequate white space between lines of text can enhance readability but excessive white space can result in a lack of continuity. Leading can be used creatively to enhance a layout, placing words tightly together so that they appear stacked or allowing extra white space in between for an airy appearance. 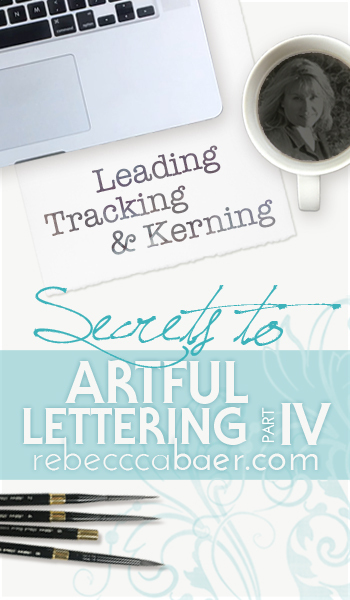 Tracking adjusts the space equally between all of the letters in a line or block of text. This can be useful when you need to fill a space or constrain text within a specific width. It is also helpful for eliminating "widows" and "orphans". A Widow is a lone word or end of a hyphenated word that is the last line of a paragraph. An orphan is a word or short phrase that create a single line of text at the beginning of a column or page. Tracking can also be used to make two (or more) lines the same width to create a uniform appearance. I modified the tracking for "ON EARTH" so that it would match the width of "PEOPLE", the word on the line directly above. For optimal results tracking should be used in conjunction with kerning. Kerning is the distance between two letters. Use this within words and between words so that the spacing is visually pleasing. The easiest way to understand the benefits of kerning is to try your hand at this kerning game. You goal is to individually reposition the letters to create the most visually appealing spacing. Kerning is necessary because the same default mechanical spacing used between letters of varying shapes can result in visually uneven spacing producing awkward gaps and uncomfortably close letters. Some programs, like Photoshop, for example, also have the option to adjust the baseline for individual or groups of characters. Simply highlight the character(s), place your cursor in the baseline shift field (the icon is an uppercase "A" beside an underlined lowercase "a" over an arrow pointing up) and use your keyboard arrows to nudge the text up or down. In addition to the adjustments noted above you can further refine your layout with curving or angled text. To get it just right I often place characters in separate text boxes so that I can position and rotate each individually for placement that is just right. An example of this is the layout for "YOU MAKE ME smile". I've positioned the "s" below the other letters and rotated it counter-clockwise to nestle it below the "m' and to create a space for "YOU MAKE ME" to wrap the "s". You can also stretch or shrink the height and/or width of your letters to make them tall and narrow or short and wide. 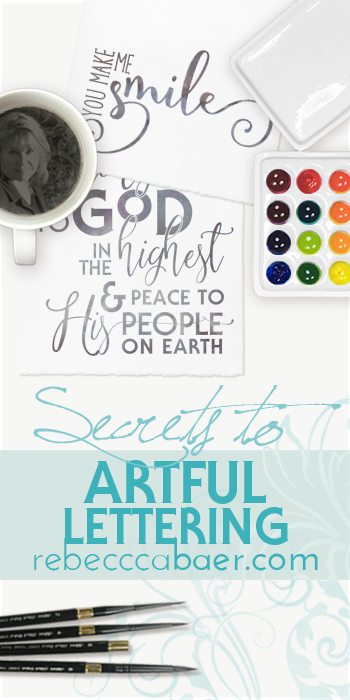 I hope that you have enjoyed this series on artful lettering. If you have ideas or inspirations for future topics please take a moment to share them with me.